At Erie Shores Family Dentistry, we are dedicated to providing the most thorough and advanced dentistry care available in the most relaxing environment possible. In addition to preventative dentistry examinations and cleanings, we offer a wide array of cosmetic and restorative dentistry solutions. From smile makeover treatments such as porcelain veneers, teeth whitening, and cosmetic bonding, to smile restoration treatments such as root canals, dental crowns, and even dentures, our patients have the full range of dentistry treatments at their disposal. Regular dental checkups are essential to providing your children with good oral hygiene and help them to have healthy teeth as adults. During these scheduled check ups your child's dentists can find small cavities before they grow large and become painful. Your dentist can give fluoride treatments to help strengthen your child's teeth, help you stress the importance of brushing and flossing to your child's health, and do routine teeth cleaning to remove plaque and tartar that can build up and result in gum disease. Adults need regular dental checks up too. By seeing your dentist regular you can have your teeth cleaned to keep them from yellowing which is embarrassing and tends to lead to people feeling less self confident. Teeth cleaning also helps to prevent gum disease in adults which can lead to tooth loss and the need for dentures. TMJ / TMD, or temporomandibular joint disorder, is a term used to describe a group of symptoms including headaches; facial pain; jaw pain; sore, chipped, broken, or worn teeth, clicking or popping in the jaw, and limited jaw movement. In many cases people suffering from TMJ / TMD report chronic pain in the jaw, teeth, face, head, neck, shoulders, or back, or any combination of these areas. Snoring, grinding of teeth, frequent ear infections and restricted airway are other problems associated with TMJ / TMD. This group of symptoms is also referred to as MPD (myofascial pain dysfunction) and craniomandibular dysfunction. Dental bonding is a procedure in which a tooth-coloured resin material (a durable plastic material) is applied and hardened with a special light, which ultimately "bonds" the material to the tooth to restore or improve person's smile. An inlay is an indirect restoration (filling) consisting of a solid substance (as gold or porcelain) fitted to a cavity in a tooth and cemented into place. An onlay is the same as an inlay, except that it extends to replace a cusp. Crowns are onlays which completely cover all surfaces of a tooth. Endodontic therapy is a sequence of treatment for the pulp of a tooth whose end result is the elimination of infection and protection of the decontaminated tooth from future microbial invasion. Although this set of procedures is commonly referred to as a root canal, this term is imprecise; root canals and their associated pulp chamber are the anatomical hollows within a tooth which are naturally inhabited by nerve tissue, blood vessels and a number of other cellular entities, whereas endodontic therapy includes the complete removal of these structures, the subsequent cleaning, shaping and decontamination of these hollows with the use of tiny files and irrigating solutions and the obturation, or filling, of the decontaminated root canals with an inert filling, such as gutta percha and a usually eugenol-based cement. After the surgery the tooth will be "dead," and if the infection is spread at apex, root end surgery is required. A bridge is fabricated by reducing the teeth on either side of the missing tooth or teeth by a preparation pattern determined by the location of the teeth and by the material from which the bridge is fabricated. In other words, the abutment teeth are reduced in size to accommodate the material to be used to restore the size and shape of the original teeth in a correct alignment and contact with the opposing teeth. The dimensions of the bridge are defined by Ante's Law: "The root surface area of the abutment teeth has to equal or surpass that of the teeth being replaced with pontics"
Dentures are prosthetic devices constructed to replace missing teeth, and which are supported by surrounding soft and hard tissues of the oral cavity. Conventional dentures are removable, however there are many different denture designs, some which rely on bonding or clasping onto teeth or dental implants. There are two main categories of dentures, depending on whether they are used to replace missing teeth on the mandibular arch or the maxillary arch. Potential problems caused by the presence of properly grown-in wisdom teeth include infections caused by food particles easily trapped in the jaw area behind the wisdom teeth where regular brushing and flossing is difficult and ineffective. Such infections may be frequent, and cause considerable pain and medical danger. Other reasons wisdom teeth are removed include misalignment which rubs up against the tongue or cheek causing pain, potential crowding or malocclusion of the remaining teeth (a result of there being not enough room on the jaw/ in the mouth), as well as orthodontics. Dentine hypersensitivity is sensation felt when the nerves inside the dentin of the teeth are exposed to the environment. The sensation can range from irritation all the way to intense, shooting pain. This sensitivity can be caused by several factors, including wear, decaying teeth or exposed tooth roots. Laser dental treatment involves generating a beam of light into your mouth. The light enables your dentist to eliminate infected areas with accuracy. Sterilizing the affected area, the beam of light also closes off blood vessels. In most cases, patients rarely need anesthesia, meaning your dental visit will be relatively short. Since the 1960s, lasers have been used on teeth and gums and because of technological advancements, lasers are now used globally. Laser dental treatments ensure low-power, meaning the device is gentle on the mouth. Most commonly used for removing old composite fillings and fumigating infected root canals, lasers can also be used for crown lengthening, bone shaping and oral surgery. A mouthguard is a protective device for the mouth that covers the teeth and gums to prevent and reduce injury to the teeth, arches, lips, and gums. Pro-form custom made mouthguards are used by professional and amateur athletes in a variety of sports, all over the world. This is due to the fact that they provide the highest level of protection, retention, comfort and fit without hindering speech or breathing during athletic activity. The custom-fit mouthguard is far superior to typical boil-and-bite mouthguards in fit, retention and the wearer’s compliance, and it maintains its shape and protection long after other mouthguards have worn out. Pro-form mouthguards excel in every category, allowing for maximum athletic performance. Dental bleaching, also known as tooth whitening, is a common procedure in general dentistry but most especially in the field of cosmetic dentistry. 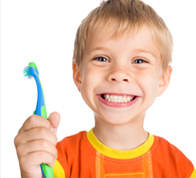 A child's deciduous teeth are generally whiter than the adult teeth that follow. As a person ages the adult teeth often become darker due to changes in the mineral structure of the tooth, as the enamel becomes less porous. Teeth can also become stained by bacterial pigments, foodstuffs and tobacco. Certain antibiotic medications (like tetracycline) can also cause teeth stains or a reduction in the brilliance of the enamel. There are many methods to whiten teeth: bleaching strips, bleaching pen, bleaching gel, laser bleaching, and natural bleaching. Traditionally, at-home whitening involves applying bleaching gel to the teeth using thin guard trays. At-home whitening can also be done by applying small strips that go over the front teeth. Oxidizing agents such as hydrogen peroxide or carbamide peroxide are used to lighten the shade of the tooth. The oxidizing agent penetrates the porosities in the rod-like crystal structure of enamel and oxidizes interprismatic stain deposits; over a period of time, the dentin layer, lying underneath the enamel, is also bleached. Power bleaching uses light energy to accelerate the process of bleaching in a dental office. The effects of bleaching can last for several months, but may vary depending on the lifestyle of the patient. Factors that decrease whitening include smoking and the ingestion of dark coloured liquids like coffee, tea and red wine. Internal staining of dentine can discolour the teeth from inside out. Internal bleaching can remedy this. If heavy staining or tetracycline damage is present on a patient's teeth, and whitening is ineffective, there are other methods of whitening teeth. Bonding, when a thin coating of composite material is applied to the front of a person's teeth and then cured with a blue light can be performed to mask the staining. A veneer can also mask tooth discolouration.